The Boss of Goss Kevin Darling asks if Neymar going to leave Barcelona and sign for Manchester United? No, definitely not. He isn’t. He really isn’t. And yet, maybe he might. 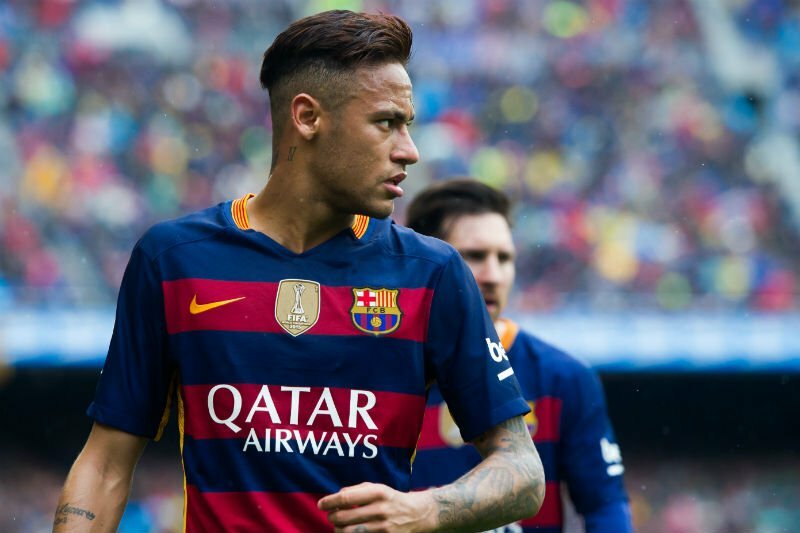 Is Neymar going to leave Barcelona and sign for Manchester United? No, definitely not. He isn’t. He really isn’t. And yet, maybe he might. The Manchester Evening News has reported that United are one of three teams, the others being Real Madrid and Paris Saint-Germain (obviously), who are “willing to pay” the Brazilian superstar’s release clause of £157m. And that there is a another clause in the forward’s contract that allows him to speak to clubs who match that price tag. Which begs the question, if those clubs are willing to pay the clause and Neymar can speak to them when they do, why hasn’t that chain of events already occurred? Don’t know exactly, but it probably has something to do with the fact that Neymar definitely isn’t going to leave Barcelona, as Hot Football Transfer Gossip mentioned earlier. Even the Mirror agrees. The tabloid has said Neymar will snub the interest of United, Real Madrid and PSG and “finally sign a new deal in the coming weeks”. At which point they say the release clause will be raised to £180m. United would pay that too, if anyone’s listening? No, they’re not. The Red Devils would be better off focusing their attentions on more realistic targets, such as Phil Jones, who already plays for them so that makes things easier for a start. The Mirror says Jose Mourinho has assured the rubber-faced defender that he has a big future at Old Trafford and can be “like John Terry was for him at Chelsea”. Wow. Weren’t expecting that, were you? Also in the Mirror, we learn that Crystal Palace have joined the “Saido Berahino transfer battle”, an ugly and long-running affair which also apparently involves Everton, Watford, Stoke and West Ham. No wonder Tottenham have stepped aside and left them to it, much to Berahino’s dismay. And if Palace miss out on Berahino, the Mirror suggests they will turn to Fiorentina’s £10m-rated Senegal striker Khouma Babacar instead. One team who appear to have no interest in signing Berahino despite being in the market for a “big-money striker” are Sunderland, who the Sunderland Echo says would rather sign Wolfburg’s Bas Dost instead. That’s if they fail to snare their number one target Diafra Sakho from West Ham, although he might not leave unless the Hammers sign Berahino. Complicated. Elsewhere, Pablo Zabaleta looks set to leave Manchester City this summer as Pep Guardiola “monitors” Hector Bellerin (Manchester Evening News), Sunderland’s Lee Cattermole is “unlikely to be on the move” to Middlesbrough (Chronicle) and Tottenham have agreed an £11m fee with Southampton to sign Victor Wanyama (Mirror). It only took them a year.